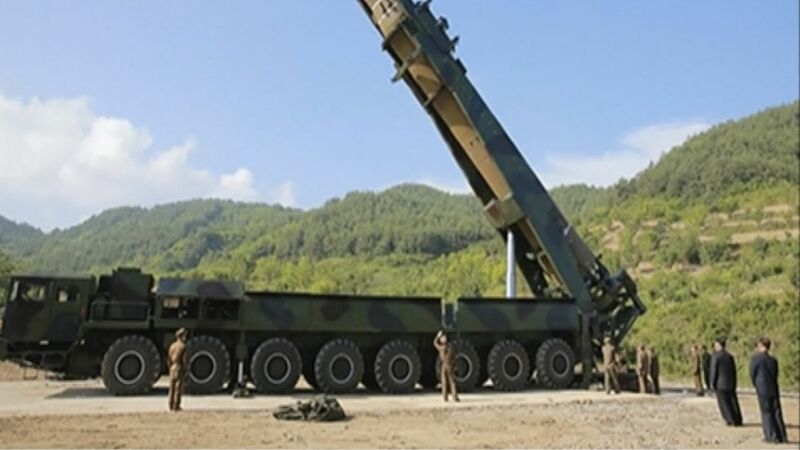 North Korea has successfully produced a miniaturized nuclear warhead that can fit inside its missiles, according to a confidential July assessment from the Defense Intelligence Agency, The Washington Post reports. The Japanese Ministry of Defense also believes North Korea has achieved miniaturization. It is unclear whether North Korea has tested the miniaturized weapon. Why it matters: That's a complex technological feat that sets Pyongyang on the path to being able to launch nuclear attacks. The U.S. assesses that North Korea is likely to have the capability to launch intercontinental ballistic missiles by next year, and the country is hitting nuclear milestones much more quickly than experts had believed possible. Get smart: The reason miniaturization is so key is because a missile's range depends on how heavy the nuclear warhead is. The lighter the warhead, the farther it can fly.